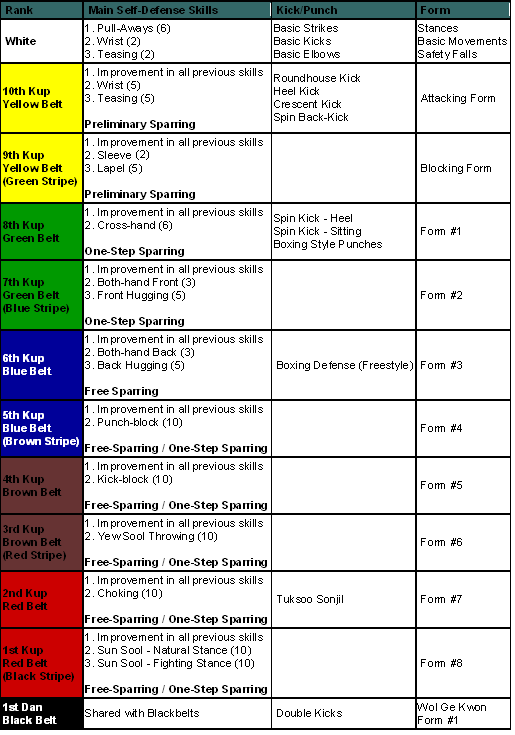 Information on Hapkido grading and techniques. 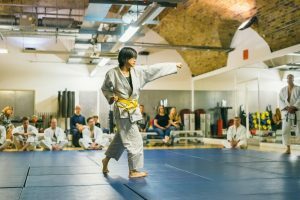 London martial art school syllabus. 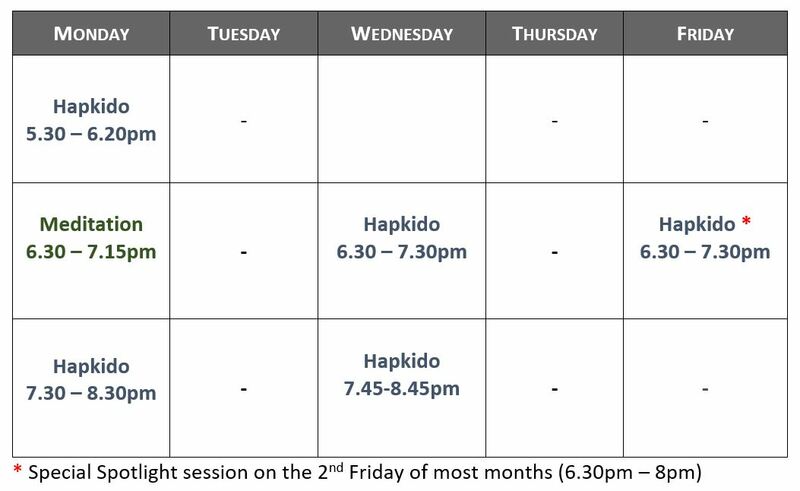 We conduct Hapkido gradings every 4 months in London. Wol Ge Kwan was formally registered with the Korea Hapkido Assn by Grandmaster Chang in 1964. Our UK school was founded in 1993 by Master Tammy Parlour. In the United Kingdom we are also affiliated/insured by NAKMAS martial arts governing body. Classes are rigorous and have a traditional focus on mastering the basics as the foundation for developing advanced technique. Emphasis is placed on Ki and the philosophy of Hapkido as well as becoming physically skilled. 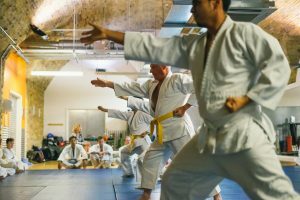 Students work their way through a syllabus, each level requiring proficiency in self-defence techniques, hand and kicking skills and various movement patterns. In addition to our standard syllabus, we run monthly spotlight classes and special seminars/master classes throughout the year. hand in to their instructor by the required date: a completed A5 size application form with the appropriate fees, and your promotion card and grading booklet if you have tested in the past. All new students are by default White belts (11th Kup or level). 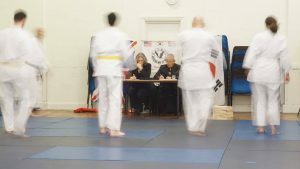 Skills must be demonstrated to the examiners’ satisfaction in order to be promoted to the corresponding belt level. Attitude and spirit (Ki) are at least as important as the physical skills for passing the tests.